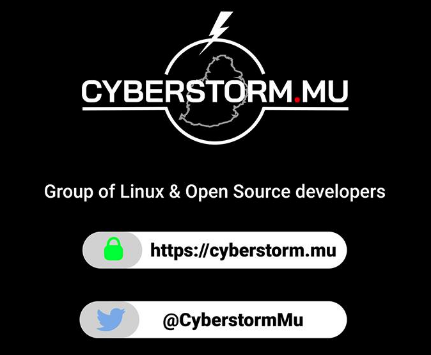 This is yet another dazzling inspiration that cyberstorm.mu brought into the mind of the audience today on the 1st of April 2017 at the DevConMru - Day 2. After the mesmerizing speech at the DevConMru by Logan, this time Codarren Velvindron, a founding member of cyberstorm.mu hit the conference room with so many attendees. Fast Coding Skills - A well chosen topic especially for the curious ones, beginners or professionals who want to remove the barrier between the code and them. Codarren started the presentation by giving some examples of the applications he ventured into, for example, MariaDB. Several analogies were brought to the attention of the audience such as the difficulties which one has to encounter whilst coding. Tips and tricks to get relief from these difficulties were offered; such as playing, breaking the huge task into parts and analyzing the mini parts of each. Another way to understand how the code works is by "deleting" part it after a backup to know how it would behave in a different environment. Codarren also shared his experience about the IETF hackathon in which he participated. In the end, we thanked Codarren for the job done. Members of cyberstorm.mu kept on responding to people from the audience who were showing interest in coding. Some questions from the audience were about the challenges faced in the IETF hackathon as well as Codarren's favorite programming language. "Talk is cheap, show me the code" - Linus Torvalds.